Regardless of your company’s size, marketing your business is probably the LAST THING on your task list. And yet, you know being found on the web and visible to Chamber members and the community is critical to retain and attract customers. We know marketing IS a big task, especially for the smallest for our independent and family-owned businesses. We also know it usually turns out better when done with professional help. 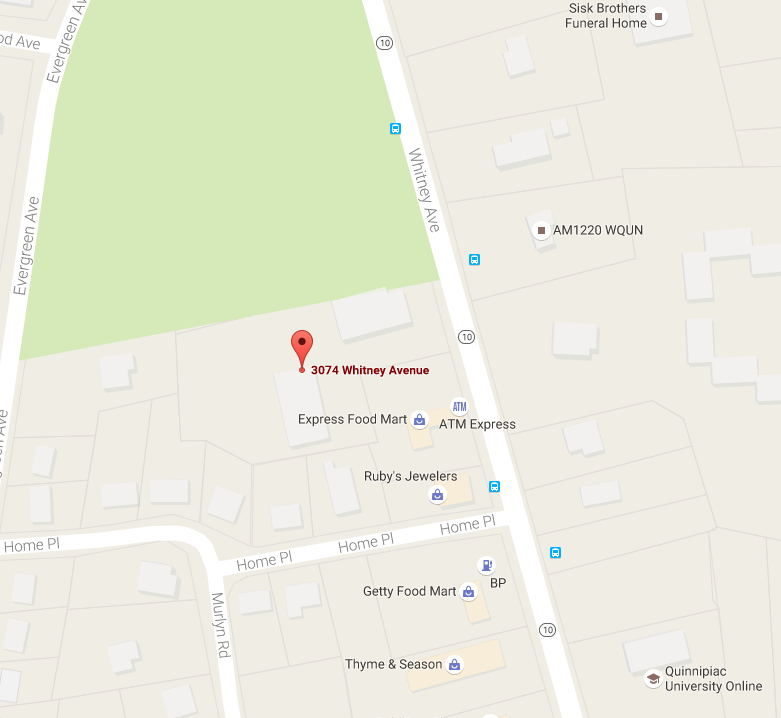 What is a Chamber of Commerce but your local marketing expert? An opportunity to be on Friday Morning Marketplace Interview with anchor Ray Andrewsen comes with your membership. For only $89 you can have the audio recording of your 5 minutes of on-air time to use for your own promotions. As a Friday Morning Marketplace sponsor, your company mentioned several times during every week (did we mention it’s during DRIVE TIME?). Additionally you get 10 minutes of airtime and you can have a video recording of the interview for your use. With the cost of drive-time broadcast at over $250/minute, $650 FOR THE WHOLE MONTH of mentions plus interview and video is a tremendous promotional bargain. The open rate of Chamber Member News announcements is 25% and the click through rate 2%. Send your custom graphic message via email to more than 1,000 potential customers. Targeted and economical at $75/emailing. Our member directory is the the most frequented part of our website (after the home page and event calendar) with several thousand visitors per year. Set your business listing apart by adding your logo and more information. Additionally, as a back link Google will trust, this enhance listing is very valuable to your business’ local web traffic. Starting at $250+/year. More verbiage about this fabulous value goes here. $600. For as long as your a Member, a blog post about your company will remain visible. A unique and cost-effective virtual advertising opportunity at $195 (limit one per member). Add your company’s logo and link to your website to the group of sponsors that appear at the bottom of every page of our website. With over 50 pages of content and growing, all those backlinks will definitely improve your page ranking in local search results. A digital media bargain at $1200/year. A one hour session to evaluate and make recommendations for your business’ social media profile, and the creation of a yearly posting template and schedule. Buy and hour of our expertise for $95. Social Media Checkup plus four follow up sessions to analyze and adjust template, schedule and strategy. Perfect for the DIY business owner who needs just a little help, for $475. Our signature annual event is promoted all year long, and attendees and vendors mark their calendars a year in advance. Attach your company’s name to the area’s business and community event of the year. Sponsorship starts at $750. The Hamden Regional Chamber has partnered with Make A Wish Foundation, so this fundraiser doubles as an extraordinary feel good event. A sponsorship is a great way to show your support of the Chamber and Make A Wish Foundation. Sponsorship starts at $150. Show off your company’s style by decorating a table at our annual gala, with a centerpiece to be raffled off and place setting promotional pieces for guests to take home. Only 12 spots available and an inexpensive way to showcase your business at $50. Show your support of the honorees and the Chamber with messaging in our program, being mentioned in event correspondence, event press release, and event tickets. Sponsorship starts at $100. Only two featured sponsorships are available for this highly visible and targeted event. $1000 each. A perfect promotion for any business that caters to adult care and their caregivers and over 50 lifestyle choices. Sponsorship starts at $150. All our members are included in our printed membership directory, which every member receives and are distributed at local hotels, restaurants, etc. An enhanced listing is $50 and advertising starts at $150. 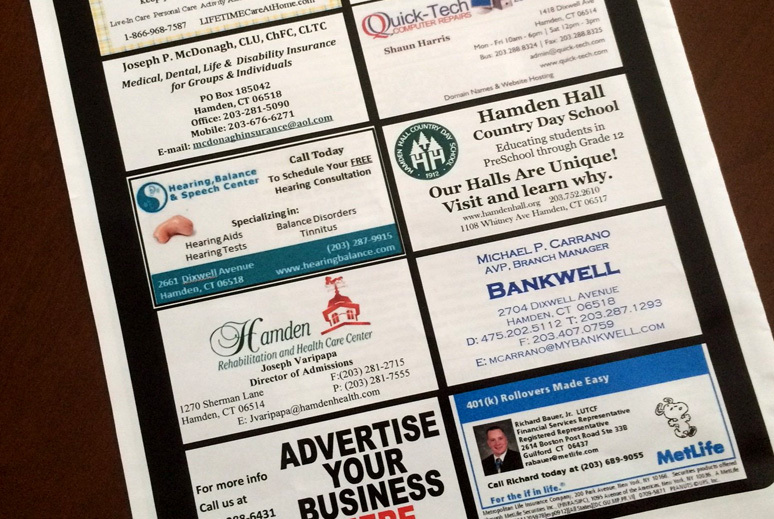 Direct mail the entire Hamden Regional Chamber membership (400+ area businesses) for $40. Gain exposure by providing us with 500 flyers (8.5″ x 11″) to go with our monthly printed newsletter. An average of 8 to 10 businesses utilize this successful method per month for targeted advertising. $50/insert. With only 12 issues, an a high rate of readership, the Newsletter Feature is undervalued at $95. Our newsletter is about our members, and we keep the advertising to minimum. That is why the back cover is coveted advertising space; pre-order your spot at $120/quarter. Help Chamber members get to know your business at these fun and intimate Business After Hours events. We often team up with other local Chambers for this event, so you double your networking and exposure. Bring your products to sell, or just your collateral and branded promotions. Your table reservation includes two event tickets. A marketing steal at $60. If your business needs good, fast AND cheap exposure, a booth at our annual expo at CFC Arena should be part of your marketing plan. Expect over 2000 visitors, 120+ exhibitors, incredible networking, professional development, socializing, and lots of great promotion via all of the Chambers marketing channels. Save a spot for $350. A write-off AND a day off?! Golfers: $250/ Single , $900/ Foursome; Tennis Challenge $125/ Single, $450/ Foursome. Several hundred over 50 adults and their caregivers attend this annual event. Only 50 vendor spots are available, and a true value if this is your target market, at $75 (for members, $100 for non-members). Bundle marketing services together to receive significant discounts. Every business is unique so our marketing packages are customized for your needs. This service is available to all and discounted for Chamber members. Make the Chamber and our marketing services part of your local marketing budget. Here are some examples of packages you could bundle based on where you are in your business development and your target audience. Joining the Chamber is one of the best marketing choices you can make as a new business. Our Startup Marketing Package helps you take advantage of the news of your new venture. Use us as your broadcaster and networking hub to ensure your business’s success. Add this marketing strategy to your startup package for maximum impact. It’s affordable and effective; for the price of one Sunday paper ad, you can have a whole year of targeted visibility. This marketing example is perfect for a Retail or Service business, looking for maximum exposure and accountability with comprehensive plan. An example of a promotion bundle designed for businesses wanting higher visibility and to showcase their civic engagement. If only someone could help you figure out a plan to get the best return on your Chamber marketing dollars. Are you ready to save money, time and effort? Get your actionable and accountable plan and improve the return on your Chamber investment.